The past few weeks, I have asked many friends, family members, strangers, and you, my readers, to ask me questions – generally about Natives. I understand, some questions may be hard to ask in person, maybe it’s not the right time, or maybe you just never had a chance to ask these questions. I am here to clarify what I know. My goal here is to share my knowledge, and my network of family/friends/relatives’ knowledge, by honoring my ancestors in clarifying the truth – not misinformation. Personally, I believe it is a matter of preference to the Native one is talking to. I do know that the word ‘Indians’ is commonly less tolerated among the Natives that I have encountered – it has the stigma of Columbus ‘discovering’ or mistaking the Native people of the territory of being people of India. (This story that Columbus named Native People “Indians” because he thought they were in India, is incorrect – India was known as “Hindustan” at the time.) In the late 20th century, some American public figures suggested that the origin of the term was not from a confusion with India, but from the Spanish expression En Dios, meaning “in God,” or a similar one in Italian. More information can be found online about this issue. Indigenous is also a commonly respected term used around Native people. Indigenous Peoples of “_____”. First Nations, Aboriginals, Original people of Turtle Island… though some do prefer American Indian (for that was the first term used to describe us once Turtle Island became known as ‘America’). If you really are Native, don’t you receive federal/government money? Do all American Indians and Alaska Natives speak a single traditional language? No. American Indians and Alaska Natives come from a multitude of different cultures with diverse languages, and for thousands of years used oral tradition to pass down familial and cultural information among generations of tribal members. Some tribes, even if widely scattered, belong to the same linguistic families. Common means of communicating between tribes allowed trade routes and political alliances to flourish. As contact between Indians and non-Indians grew, so did the necessity of learning of new languages. Even into the 20th century, many American Indians and Alaska Natives were bi- or multilingual from learning to speak their own language and English, French, Russian, or Spanish, or even another tribal language. 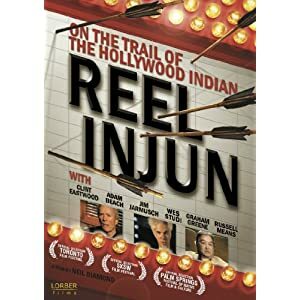 Have you seen REEL INJUN the documentary? I love that documentary, I recommend it to everyone, and I wish I could make it mandatory in schools. If you have not seen it, please, try. Plot summary: REEL INJUN:a documentary about the history of the depiction of Native Americans in Hollywood films. Native American and Aboriginal peoples have long played a part in Hollywood filmmaking, but the picture presented of them was not always flattering or accurate. Most westerns of Hollywood’s Golden Age presented “Indians” as either ruthless savages with no sense of honor or fools who were lost without the help of the white man. (Adding insult to injury, they were usually played by white actors in makeup.) However, as issues of Native American rights came to the forefront in the 1960s, more filmmakers stepped forward to offer a more positive and thoughtful portrayal of Aboriginal characters on screen, and Native American performers were given a greater opportunity to present the story of their people in television and the movies.